It was just a passing comment from our tour guide Andy while teaching on Mt. Arbel overlooking the region of Galilee. 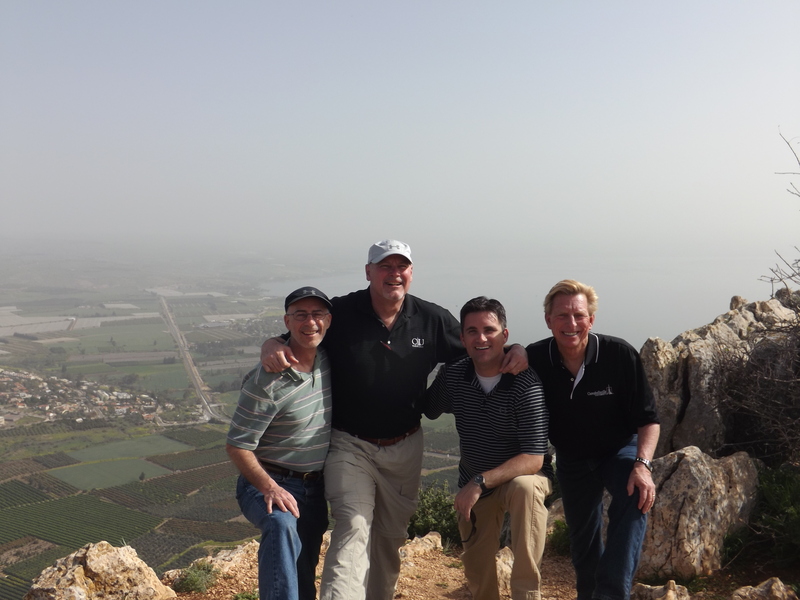 As we looked down on the valley floor below, our eyes rested on the fertile fields of west Galilee or the Jewish region. Then he directed our eyes to east Galilee, on the other side of the lake, where he explained lived a majority of Greek Gentile pagans in the time of Jesus. One side of the lake was primarily Jewish settlers; the other side was primarily Greek Gentiles or pagans. He kept saying “pagans,” “pagans,” “pagans.” And it hit me, all Gentiles were pagan idolaters. All of them. Every time the phrase “Gentile” is used in the Old or New Testaments, it is referring to someone who was not monotheistic, but someone who worshiped false gods. It is meant to describe someone who bowed down in pagan temples, who sacrificed in the name of idols. Every single time the word is used, it is meant to tell you something specific about the religious practices of that person. A Gentile is a pagan. Only the Jews, and later the Christians, were monotheistic in the biblical narratives; every body else was a pagan idol worshiper. Our American, 21st century understanding of the term “Gentile” is neutered of its biblical meaning. Today we hear it simply as a non-Jewish person and that’s about it. We do not attach any additional meaning to the term. We see the Apostle Paul as sent by God to bring the Gospel to the Gentiles and in our minds those Gentiles were basically non-Jewish unbelievers living in the Ancient Near East. But they were much more than that. They were worshipers of others gods, other idols. They worshiped Greek gods, Roman gods, mythical gods, ancient Egyptian gods. They worshiped Roman Emperors as gods in human flesh. They worshiped statues crafted by human hands, images standing in great temples. They were pagans through and through. In summary a Gentile in the Bible is a pagan and a pagan in the Bible is a Gentile. This basic truth has peeled back a layer of blindness from my eyes and uncovered how my postmodern mind has inserted atheism and agnosticism into the world of the Bible. But those worldviews are simply not there. Either you worshiped the one true God or you worshiped pagan gods. There was no other option – Jew or Gentile. This truth may be obvious to everyone else, but it was a breakthrough for me. Would it surprise you to find out that many Jews and Muslims consider Christians idolaters and polytheists?